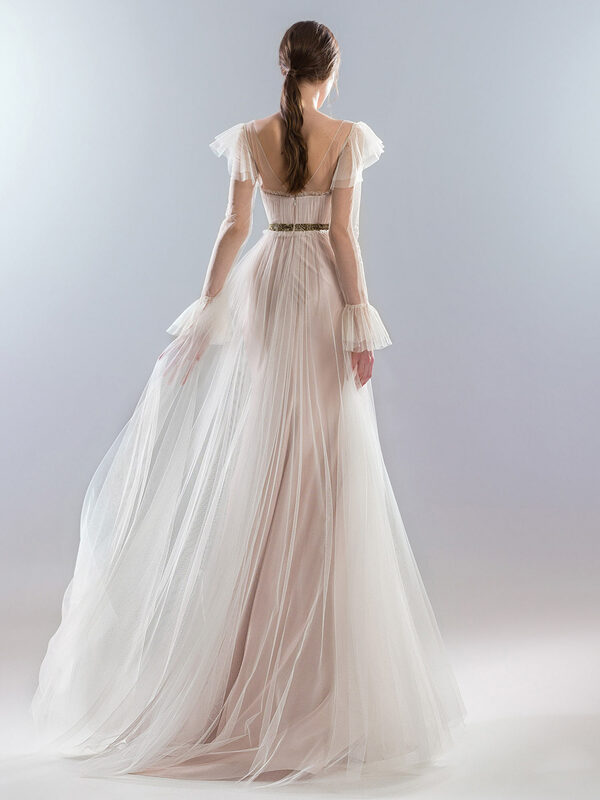 A delicate sheer overlay elevates a floor length A-line wedding dress with fitted lining and long sleeves with ruffle detailing on the hem and shoulder. 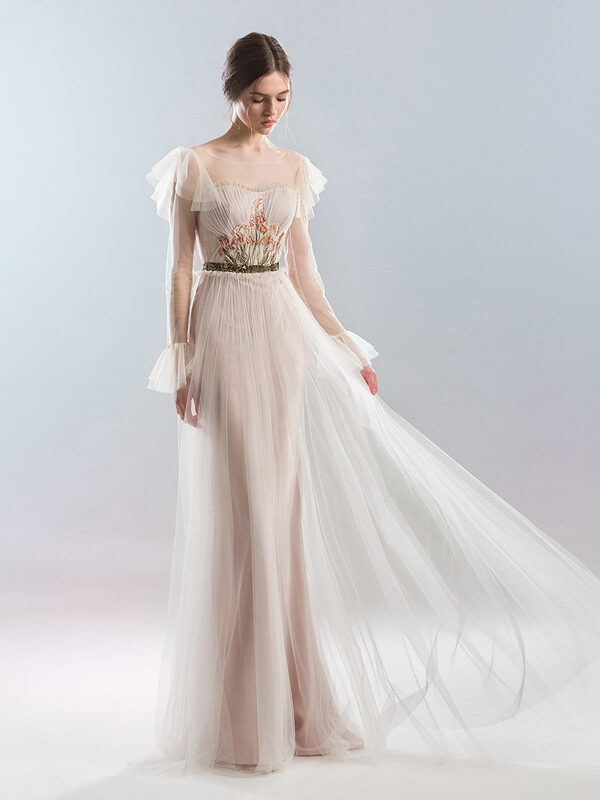 The dress features a soft sweetheart bodice with tulle rouching and 3D flower detailing with embellishments. The open back and slim belt complete the look.